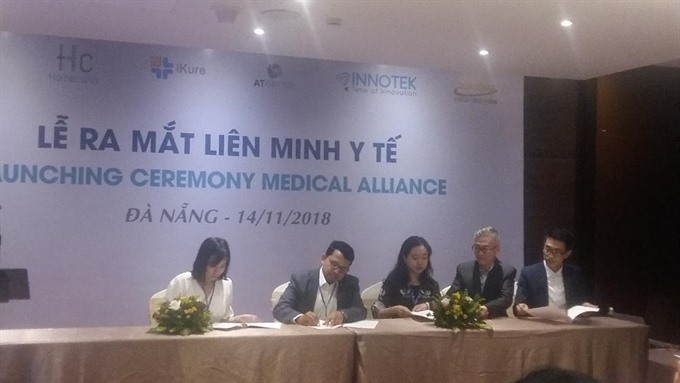 ĐÀ NẴNG — Medical alliance HM Group has launched in the central city of Da Nang with the aim of serving 500,000 patients by 2020 and boosting information technology and human resources for hospitals and clinics. The alliance was established by Homecares, iKure, AT Group, Innotek and Job Links, to improve the quality and effectiveness of medical services, research and development and education. It will focus on connecting patients with the right doctors through apps that can be accessed in remote areas. According to Bùi Thị Hương Giang, founder of AT Group, the alliance was set up to offer various healthcare packages to four main groups: hospitals, physicians, clinics and patients. 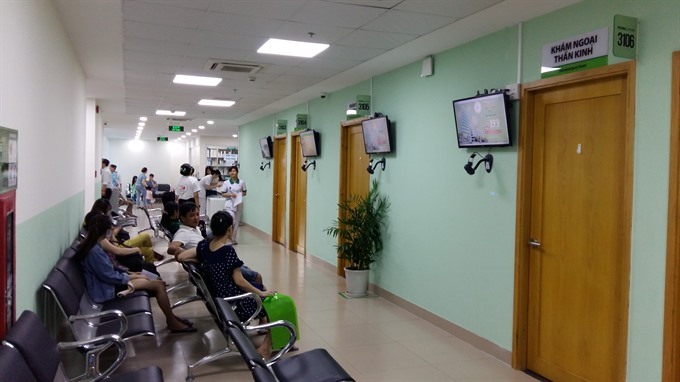 She said that joint medical services and remote healthcare check-ups and treatment technologies will help doctors see more patients per day, thus increasing the capacity and quality of medical check-ups and treatment. Patients will not need to visit hospitals to see doctors and can instead have an easy way to connect with medical centres near their homes. The introduction of the medical alliance should also help reduce overloading at public hospitals. Nguyễn Thị Vân Anh, CEO and founder of Homecare Đà Nẵng, said the alliance would help ease the stress placed on doctors because they would be able to contact their patients using the new technology. Mobile health workers would support doctors to take blood samples or medical waste from patient’s homes for testing in laboratories. Đà Nẵng has 11 hospitals with 1,000 doctors, and more than 620 consulting rooms and medical care centres. The city plans to ease overloading in its hospitals by 2025 when doctors will only be allowed to examine 25 patients each day.